Image has been converted to black and white. Color version is available.) 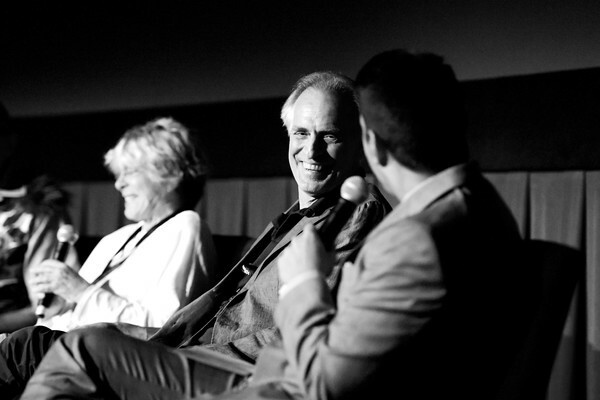 (L-R) Special Guests Joan Tewkesbury and Keith Carradine speak onstage at the screening of 'Nashville' at the 2019 TCM 10th Annual Classic Film Festival on April 13, 2019 in Hollywood, California.